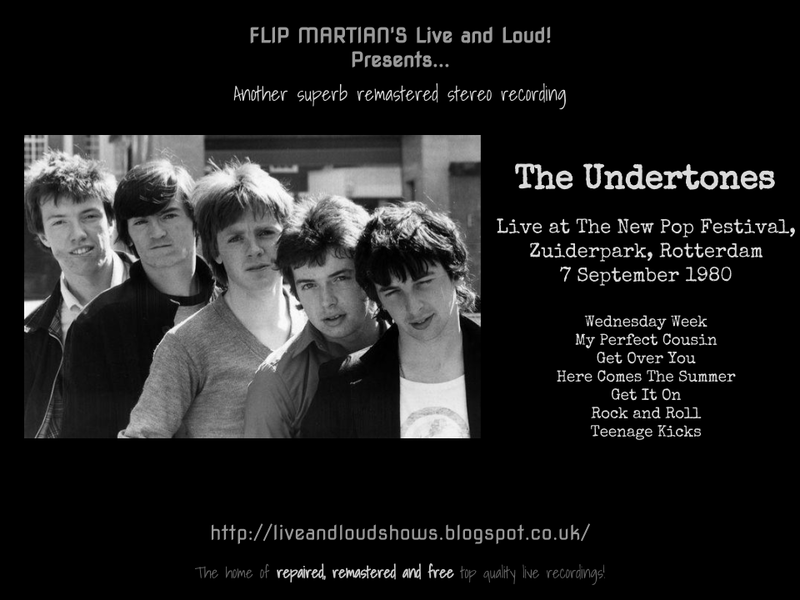 This week its The Undertones in a short but excellent set from a festival in the Netherlands. Originally an FM radio broadcast, they cram 7 songs into their short set lasting about 18 minutes - but its a great 18 minutes. 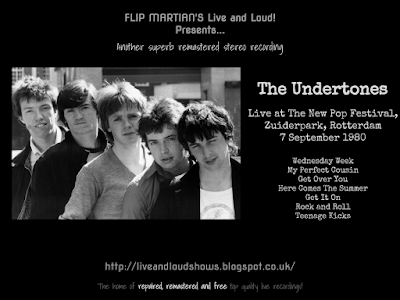 Kicking off with a couple of singles from their latest album, Hypnotised, you then get 2 earlier singles, a couple of covers and finishing off with Teenage Kicks. As usual a defect or 2 were cleaned up and then 30 band EQ applied to what was originally a flat sounding recording. After that, a sprinkling of studio toys to bring things to life a little more - now the guitars ring and you can actually hear the drums!